The home office used to be somewhere Dad would sit and brood over letters and bills and a seemingly endless paper tray. But these days the home office is more of a family affair; it’s a place where the kids do their homework, where mum and dad pay the bills online, the kids play on the computer, a place to keep on the household paperwork and everyone’s schedules. It’s a busy place! But so often its lacking in style or decoration – but with a few handy tips you can change that and give it the makeover it deserves! Start at the entrance to the office, if you’re lucky enough to have an office in a room all its own, why not place a sign on the door to give it a more established and personal look? Have a look online for an office door signage company to help create you something really special! If your home office is placed inside another room then there’s nothing to stop you adorning the walls with a sign too! A fresh coat of paint can make a world of difference. 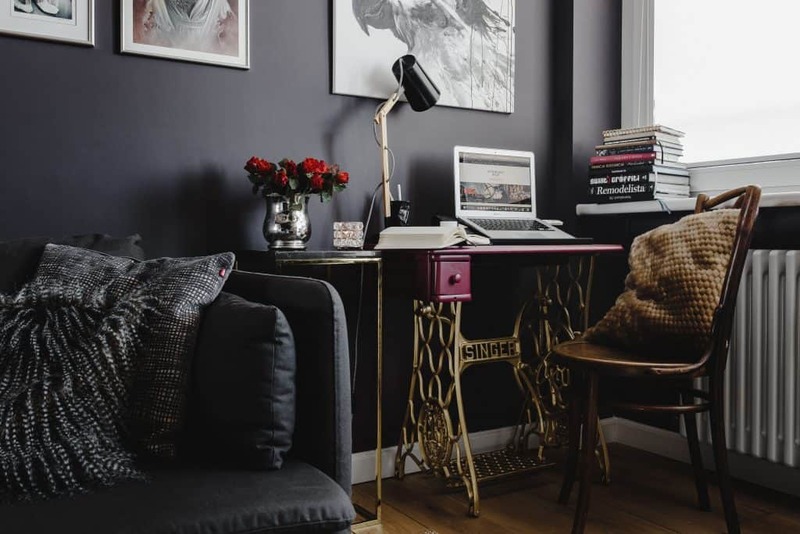 If your office area is open to other rooms in the house, choose a wall colour that complements the surrounding areas, perhaps using a shade lighter or darker within the same colour range. A textured but neutral wallpaper is also a great choice to give the office its own distinct look. Add more visual appeal to the walls with inexpensive homemade art. Frame your children’s creations or botanical prints from wall calendars. Hang them in a group for more impact. You may want to include a fabric-covered bulletin board to keep track of invitations and events or a chalkboard on which family members can leave messages. If your office isn’t blessed with a lot of cabinets, consider adding some open shelves. They’re less expensive, and you can buy them or make them yourself. These shelves are ideal for holding frequently used reference books and cookbooks, but they also work as a decorative feature. Consider painting them an interesting accent colour and adding a few family treasures such as seashells, vacation souvenirs, trophies, and ribbons. Traditional office furniture is often utilitarian looking and can be expensive. 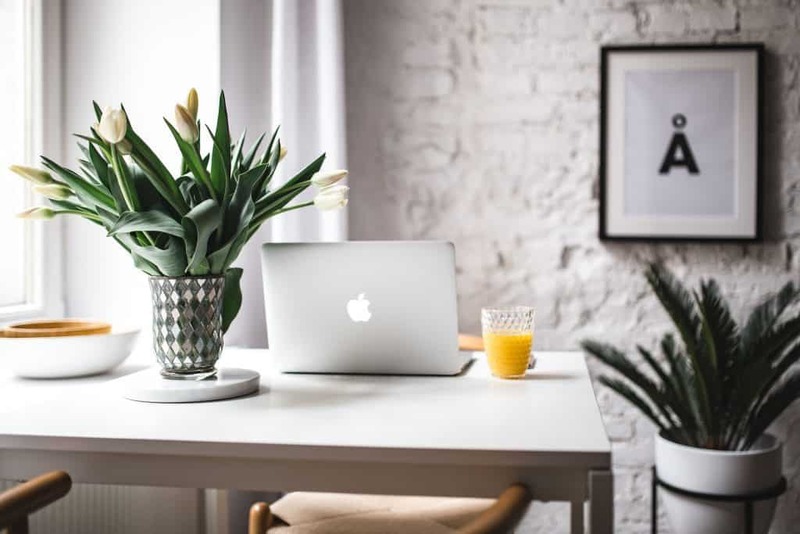 Unless your office is included within another space, such as a kitchen or family room, it won’t be on display to guests. 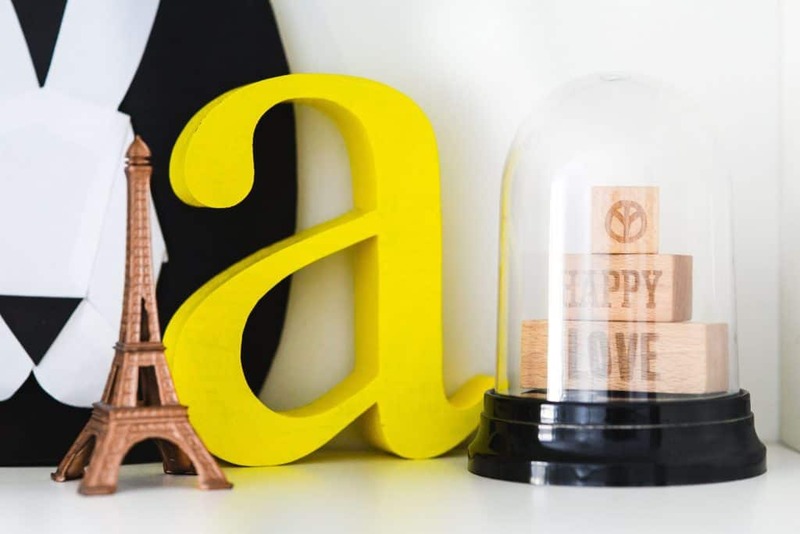 So have a little fun, and add some character to your workplace –shop flea markets and “junktique” shops for unique bookcases, magazine racks, file cabinets, and tables. If you prefer an office chair for the comfort and swivel feature, then try covering it in a patterned fabric. Perhaps your office space is in another room? Make it stand out by decorating the floor around it. Large rugs or something small and unique from a charity shop or something new and stylish from your favourite homeware store should give your office area a real boost. 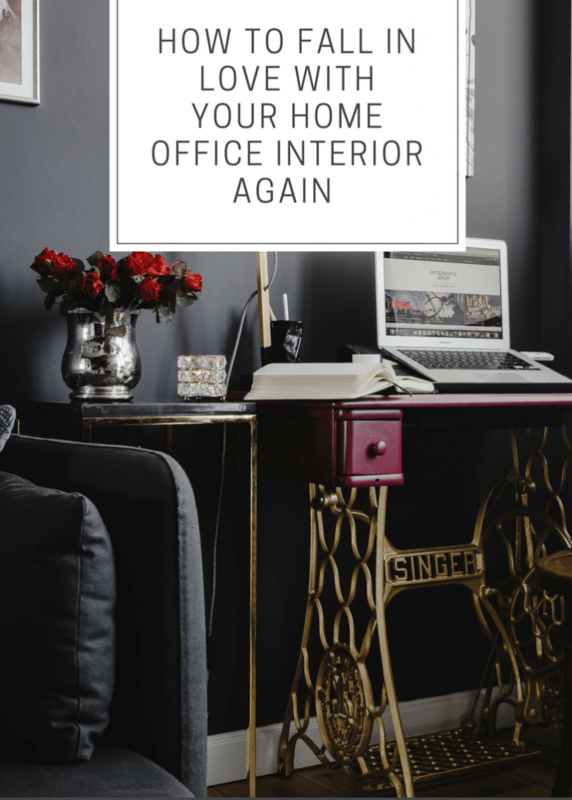 Do you have a home office when needs a little bit of love? Which of the above could do with a little attention. And for some home office inspo see my blogging space here and see this post on home office ideas here.